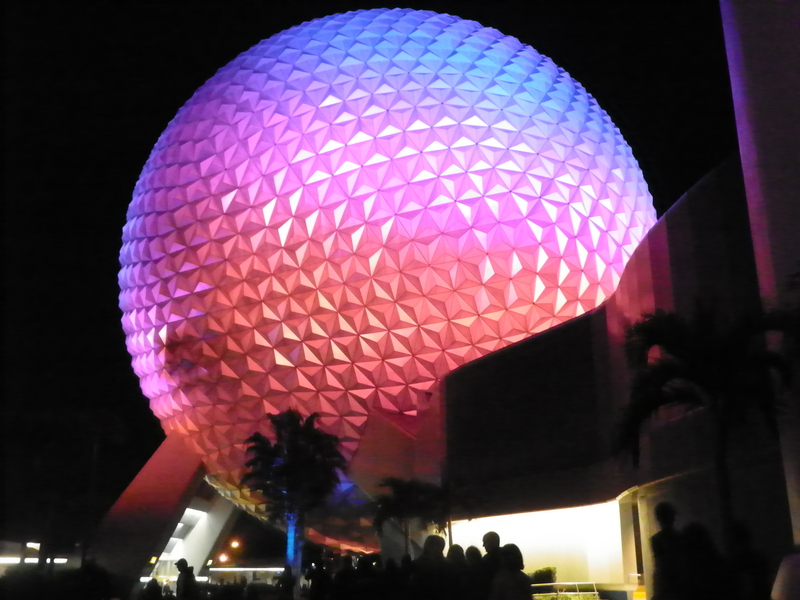 Changes at Walt Disney World – What's for Dinner Moms? Sunday is my fun day! I write about my family or something that is going on in our world. Lots of changes to the Walt Disney World theme parks were announced at the D23 Expo, a conference for those who love all things Disney, in California last week. I LOVE Disney. Let’s start with that. My whole family loves Disney. But, all the changes that were announced the other day have our heads spinning and trying to picture our beloved Disney World with all these changes. For years I have said that Disney was behind the 8 ball in trying to keep up with changes in the theme park industry and Universal Studios (just down the road). Disney rested on its laurels rather than continually update or tweak areas slowly. So, it now appears they are going hog-wild and trying to catch up all at once. Though I do love some of the changes such as the new Star Wars land and the new Toy Story Land other changes have me saying hmmm. But, I fear each park is losing focus of what they were originally intended to be and soon fear that all four parks will just all run together in a mish-mash. Ratatouille, though I love the movie, being added to the France pavilion is one of these ideas that I question (as is the Frozen ride in Norway). I understand the tie-in and this will be a copy of the ride as it is in Disneyland Paris but I prefer the World Showcase without all the character clutter. I don’t mind the topiaries of Lion King and Beauty and the Beast because they are fairly unobtrusive but I think to put in character rides waters down the authenticity of each country. Are we going to stop going with all the changes? No. They are closing The Great Movie Ride and Ellen’s Energy Adventure next month. More walls will go up in Disney Hollywood Studio (which is already under heavy construction with the new Star Wars area and Toy Story areas) and Epcot but there will still be plenty to see and do. Off to book our next trip! I’m way out of touch in Disney stuff. I’m happy with Donald Duck (voiced by Clarence Nash) cartoons. Throw in The Absent-Minded Professor. Leave out Old Yeller. I’ve seen film of the tea cup ride at Disneyland inspired by Alice In Wonderland. With my nephew and his family living nearby, I suppose I should go. I remember a lot of tourist-y places in Florida from the Fifties. I think there was a View Master disc of Cypress Gardens with women waterskiing. Love it! I love the old Disney movies. The Computer Wore Tennis Shoes and The Absent Minded Professor are great! Thank you! My son can’t wait for the Star Wars hotel. Yes! All these changes at once are tough when there are still things from the past I miss. My husband works for Disney! ☺️ Enjoy! I loved every moment of it. I’m suffering major Disney withdrawal!! There was very little to do in HS but everything else made up for it. Already planning a November trip next year! Oh my goodness, I’m so glad you had a great time! I think we are planning for May of 19….we have a Tennesse trip coming up this spring. We just got back from Disney Today, and yep, saw all the construction at Hollywood studios for the Star wars build… I like change, so bring it on. Lol! I am such a creature of habit! It didn’t take away much for us. We knew where to go and what we wanted to see. Disney Hollywood Studios was a half day park for us as my family has seen Indiana Jones, Beauty and the Beast, and the Little Mermaid tons of times so rather than stay in the park to see those they were happy to go to other parks or to Disney Springs for an evening. Ok, that is good information to know! Thank you so much! Yes, the Changes at specifically the Hollywood studios were so much construction and ALOT of closed exhibits. I would not go to that specific park until it was open after construction. I felt we paid for less. True. If you are paying for parks then no it is not worth it. Because we had 8 day hoppers we were fine only going for 1/2 the day and then heading somewhere else. We are currently in the planning process of our very FIRST Disney vacation! There is so much to research my head is spinning! Great post! I love Disney, change may be scary but I can’t wait to see what they will do! I hope you can check out my blog!